Try out this variation of the traditional Pass the Parcel game. 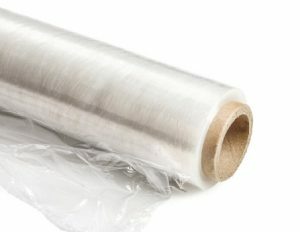 You will need various prizes and lots and lots of clingfilm, ultimately making what is known in the USA as a ‘Saran Wrap Ball’ (‘Saran’ is the trading name of a Company producing polythene wrap in the USA). As with the traditional pass the parcel game, you should start off with the main prize in the middle, then wrap clingfilm around it to form a ball. Add additional smaller prizes as layers in between the clingfilm. Get the young people to sit in a circle. The first person with the ball starts unwrapping while the person on their right rolls a pair of dice, trying to roll doubles. Once doubles are rolled, the ball and dice move round to the right to the next players in turn. The person with the ball does not stop unwrapping until the person to their right rolls doubles. Players get to keep the treasures they unwrap along the way. If you are looking for the ball to be passed quickly around the group, you could use just one dice and pick a number that has to be hit in order for the ball to move on. You could make the unwrapping more difficult by making them wear a blindfold or a pair of gloves. When making the ball, you can use one continuous piece of clingfilm or individual pieces. If using individual pieces, start them at different angles and cut the clingfilm at different lengths to make it more challenging. If you have a larger group, you could use two or three balls and start them at different points in the circle or have two groups with a ball each.